Aloha! 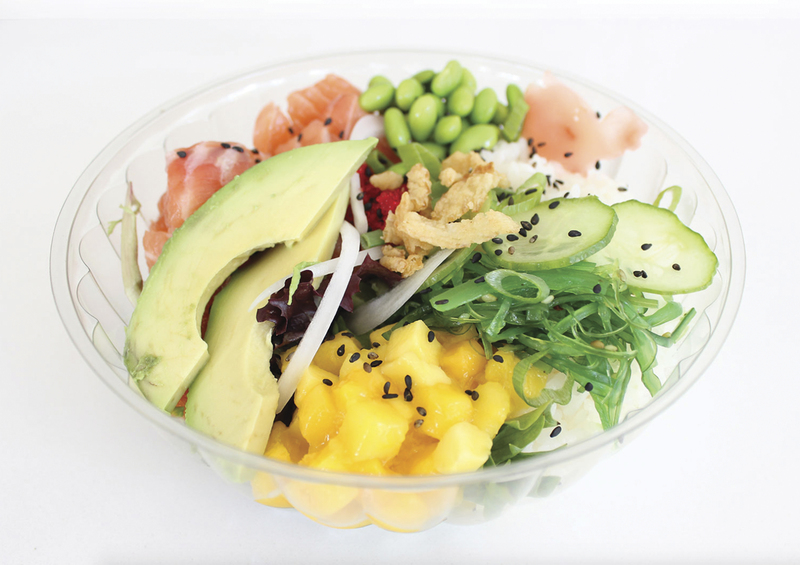 … The national poke craze has landed in New Orleans with the opening of Poke Loa in the Garden District. Taking over the spot that was once home to Jamba Juice on the corner of Magazine and Louisiana, Poke Loa offers local diners a healthier option when it comes to fast food. Similar to other “build-your-own” restaurant concepts, diners can design their own poke creations with ingredients like sticky rice, tuna, salmon, tofu, ponzu, seaweed salad, crab salad, mango, tobiko, and more. Poke Loa is open every day from 11 a.m. to 9 p.m.
On the Avenue … As everyone knew it would, the shiny new University Medical Center on Tulane Avenue is kicking up dust in the corridor, drawing businesses to an area that was once neglected. The latest to the area is the Jerusalem Café, in the space that once housed Mama's Cooking. 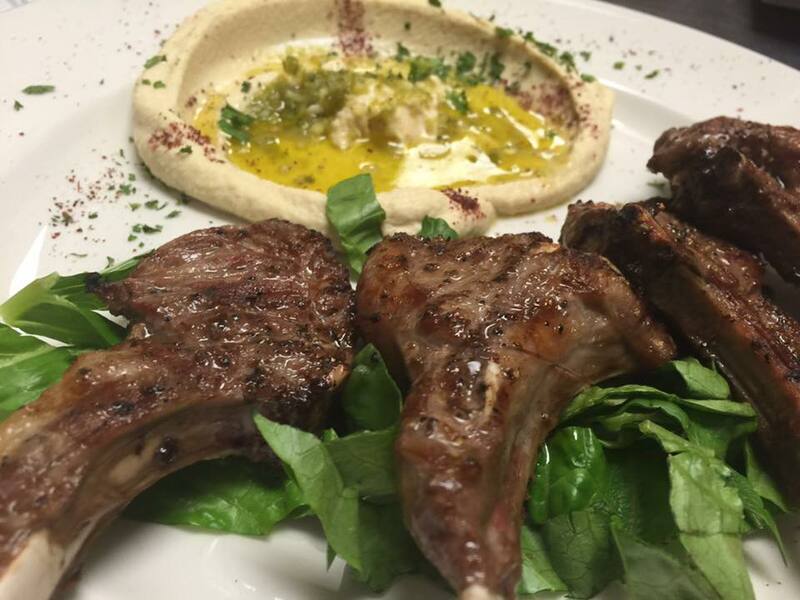 The recently opened café offers all the Mediterranean cuisine that diners are familiar with like hummus, stuffed grape leaves, falafel, shawarma, lebnah, gyros, and baba ganoush. Plus, you won't want to leave without trying their house-made baklava. Spirits first … The city's first restaurant-distillery Lula threw open its doors recently after a complete renovation of the pre-existing structure that served as a showroom for Halpern's Furniture. 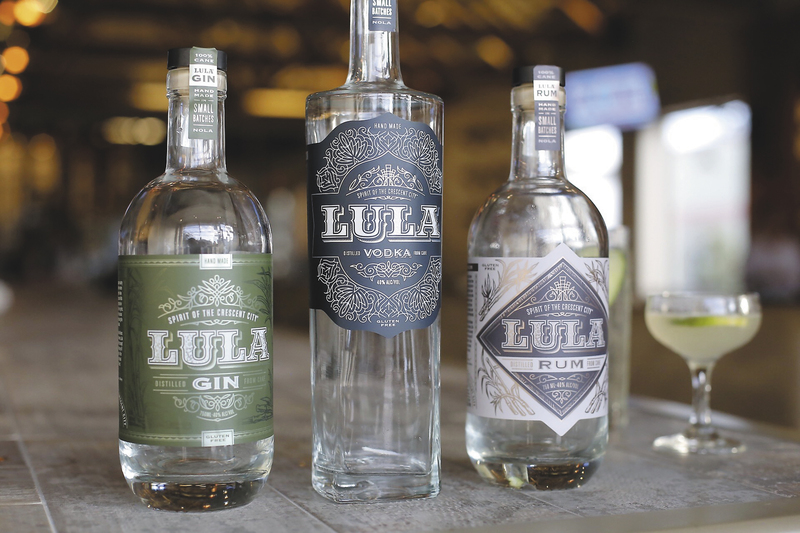 Lula is a collaboration between friends Jess Bourgeois and Bear Caffery who “share a passion for outstanding food paired with finely crafted cocktails.” The distillery produces vodka, gin, and rum made small-batch from 100 percent Louisiana sugarcane. Along with cocktails made with Lula spirits, diners can enjoy dishes like boudin eggrolls served with a molasses fig sauce, Escargot Saint Michael, braised pork roast with smashed potatoes, and Lula Rum Lacquered Gulf Shrimp with soybean succotash. Fill-er-up! … Tucked a few blocks behind the bustling corner of Canal Street and N. Carrollton Avenue is The Station, a brand new place where Mid-City residents can get their breakfast (or lunch) on. 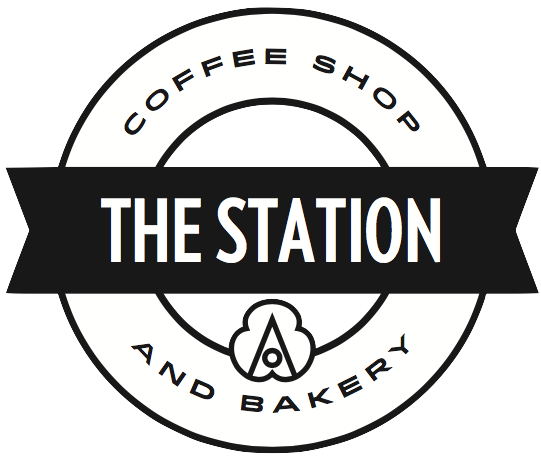 Open from 6 a.m. to 8 p.m., Monday through Saturday, The Station offers lots of “grab-n-go” eats like pastries, bagels, and pot pies all made in-house. Other goodies include things like chocolate cake with satsuma buttercream, muffulettas, Bananas Foster hand pies, and more. The restaurant also offers a full assortment of specialty coffee drinks brewed from roasters like Revelator and Orleans Coffee Exchange. 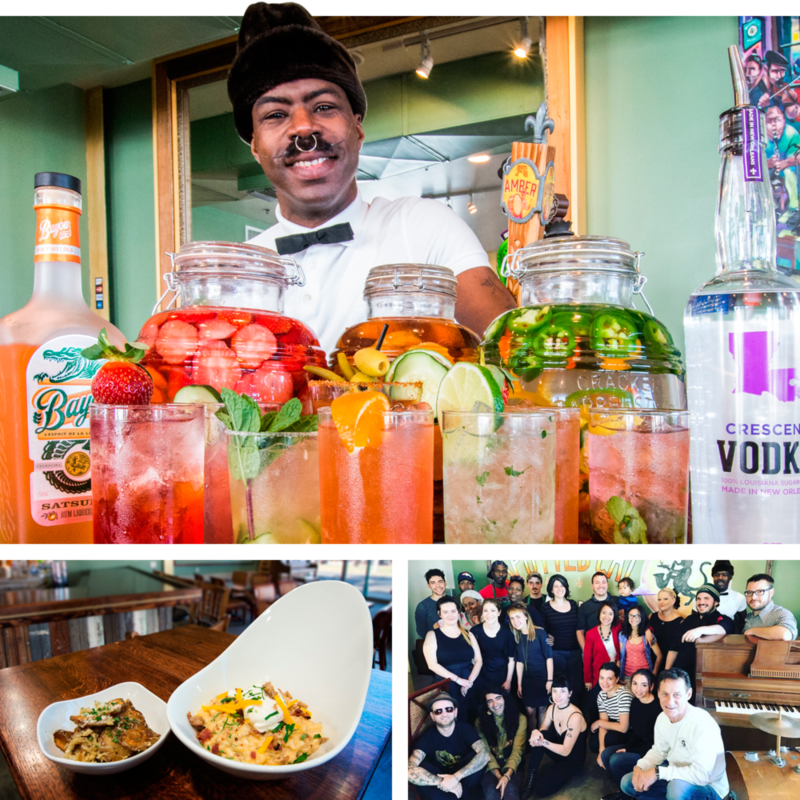 Food you can groove to … From the owners of The Spotted Cat Music Club comes Spotted Cat Food & Spirits, now open inside the New Orleans Healing Center on St. Claude Avenue. 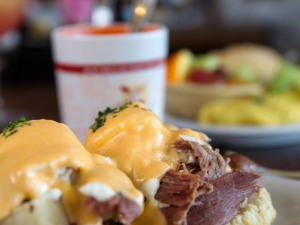 During the day, the restaurant is serving mostly coffee and breakfast items like shrimp and grits, chicken and waffles, biscuits and gravy, and strawberry pancakes. At night, when the music starts, they're pouring cocktails featuring infused liquors like cucumber citrus vodka and cinnamon sweet potato bourbon. What wave? … A new Japanese-inspired spot opened on the ground floor of the Pan American Life Center dubbed Tsunami Sushi, part of a small chain out of Lafayette. Creating “edible art to marvel at,” Tsunami offers both traditional and non-traditional Japanese cuisine from miso soup and squid salad to Oysters Agemono served with wasabi tartar sauce and a 24-oz Sumo Ribeye with kimchee collard greens. 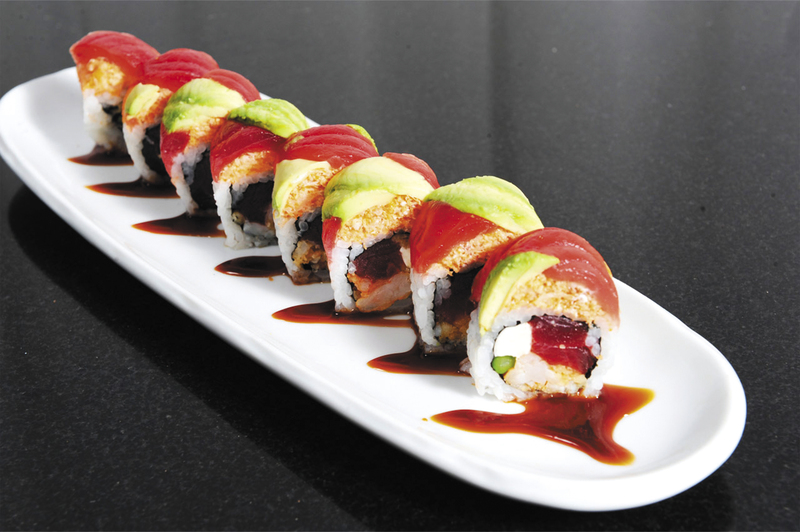 Most notably, Tsunami Sushi serves creative rolls like the Michael Doumit Roll with fried soft shell crab and masago, the Ragin Cajun Roll with panko alligator, and the Munchie Roll with fresh salmon, cream cheese, and Doritos. 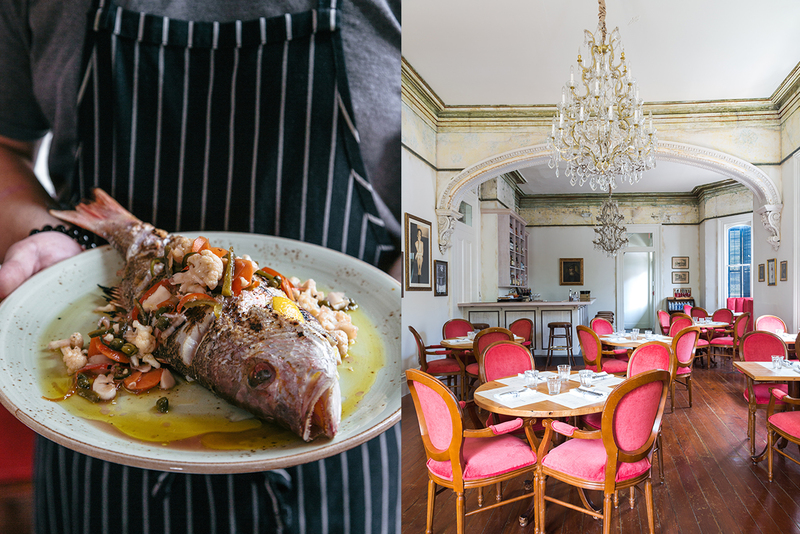 Taking the lead … Restaurant and bar group LeBlanc+Smith just announced that Nathan Richard is taking over as executive chef at their popular Uptown eatery Cavan. Richard was most recently with Kingfish in the French Quarter. “I am really fired up to work with Nathan at Cavan,” Robert LeBlanc, owner of LeBlanc+Smith, explained. “Not only are we friends, we grew up 10 miles from one another in Houma and Thibodeaux, so we have very similar approaches to food and hospitality.” Ben Thibodeaux, who took over the position after Kristen Essig departed, is leaving to seek out other career opportunities away from the restaurant industry and spend more time with his family. We'll save you a slice … This spring, Paradigm Gardens, a quarter-acre lot in Central City that has been transformed into a garden/farm/venue of sorts, has kicked off their Pizza & Pie Series featuring the city's top chefs and “vinyl” DJs. There are four Wednesday-night events left, so grab your tickets before they run out of food from Ancora Pizzeria, Windowsill Pies, and The Pupusa Lady, plus refreshments from sponsors Old New Orleans Rum and NOLA Brewing Co. There will also be guest chefs from fantastic local restaurants like Kin, Central City BBQ, Compere Lapin, and more!